Dog training classes are held in the Field House at Doggy Haven Resort in Bothell. During the week, the classes are held in the evening to accommodate your busy work schedule, and daytime classes are available on Saturdays. We have classes for Seattle area clients ranging from introductory to advanced level classes and Canine Good Citizen certification. Class size is a maximum of 8 students and 45 minutes in length until otherwise noted. Our smaller class sizes ensure that you and your dog receive valuable one-on-one instruction. We accept cash, local checks, Visa, MasterCard, Discover and American Express. Tuition is due in full at the time of registration. $429 Silver (4 months) $70 savings! $599 Gold (6 months) $150 savings! Levels training memberships allow you to register for as many classes as you want (whenever they are available) as often as you want and learn at your own pace. The same training calendar that you use to sign up for orientation can be used to register for the classes you want to attend. Dog training at it’s best and at your convenience! 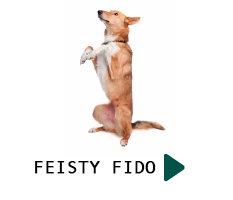 For the Feisty Fido classes and Levels Orientation, refunds or credits will be granted only for students who withdraw at least one week prior to the first day of class or orientation date. No refunds or credits will be granted after that point. Levels program memberships are not refundable though we guarantee your satisfaction. This policy applies to Homeward Pet adopters whose orientation fee is included in the adoption fee—credit for a future class will only be granted if you withdraw at least one week prior to the orientation. All dogs and puppies must be current on vaccines, proof of vaccinations will be requested at orientation or the 1st class session for Feisty Fido. Dogs who are aggressive toward people or other dogs are not appropriate for group classes. Please contact the instructor prior to enrolling if you have concerns about your dog’s behavior. 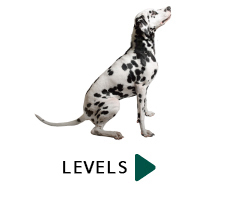 Levels Training is a flexible way to train dogs at the convenience of their families, allowing individuals to progress as fast or slow as desired. After orientation there are three levels of memberships: Bronze (2 months), Silver (4 months) or Gold (6 months). 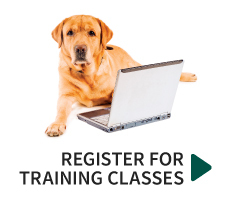 During your active period of enrollment, you use our training calendar to register for as many training classes as works for your schedule and your dog. If you’ve already registered, sign up on our calendar! How much does it cost for orientation? The orientation is $20. This fee is applicable to your membership price if you decide to proceed with the training program. Orientation and first month (starting on first day of Levels class) is free for Homeward Pet adoptees if you register within 30 days of your adoption. How much does it cost for Levels Training membership? Bronze Membership is $249 for 2 months of unlimited classes. Silver Membership is $429 for 4 months of unlimited classes. Gold Membership is $599 for 6 months of unlimited classes. Homeward Pet adoptees receive one month free (starting on first day of Levels class) if you register for orientation within 30 days of your adoption. After you register, Doggy Haven will give you a call for payment. You are also more than welcome to come into the office during their business hours or give Doggy Haven a call at 425-482-4472. The schedule for the classes is variable, so it will be most accurate to look up your desired class on our calendar, but here is a quick overview for each class. Exact times change, so please view the calendar to ensure that there are class times convenient for your schedule. Do not bring your dog for orientation! It is humans only for the first class! What if I think my dog shouldn’t start at Level 1? Every dog will enter the program at Level 1 to ensure mastery of the foundational skills. If your dog has previous training, then you will likely advance out of Level 1 faster than others. The training tent is covered and has a heater, but it is still a good idea to dress in layers in cold weather months. There is a restroom available Monday – Friday until 6:30 pm and 4 – 6:30 pm on Saturday. All other times, the Doggy Haven Resort office closes to the public. Should I bring my dog to orientation? The orientation is for humans only.